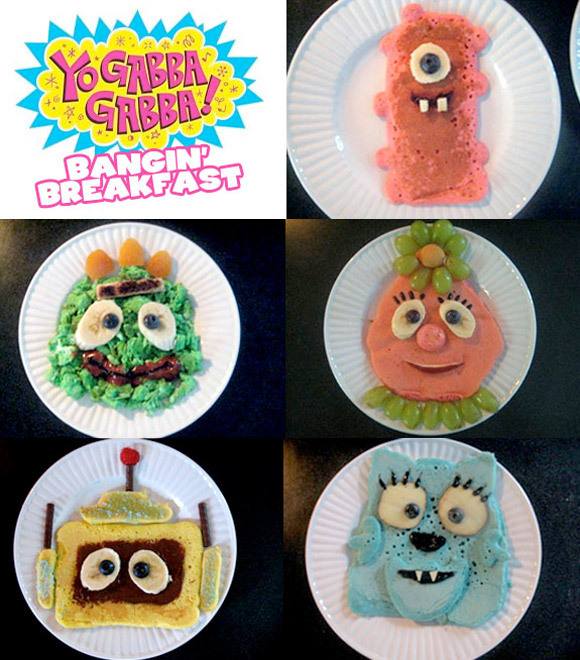 There’s a party in my tummy, and its breakfast in the shape of all the Yo Gabba Gabba characters. A little while back, Sean Kernick challenged himself to making extra special breakfasts for his little girls on the weekends. So yummy!